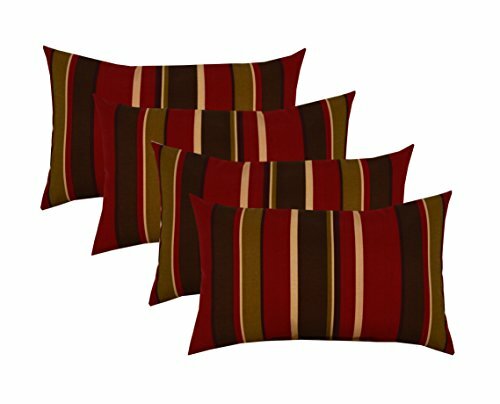 RSH Décor Set of 4 Indoor/Outdoor Lumbar Rectangular Throw Pillows (12''x21'') Brown, Burgundy, Tan Stripe by RSH Décor at COTM Blog. Hurry! Limited time offer. Offer valid only while supplies last. Easy care and maintenance: spot clean with mild soap and water, air dry, fast drying. To maintain life of fabric bring under shade when not in use. View More In Patio Seating. If you have any questions about this product by RSH Décor, contact us by completing and submitting the form below. If you are looking for a specif part number, please include it with your message.